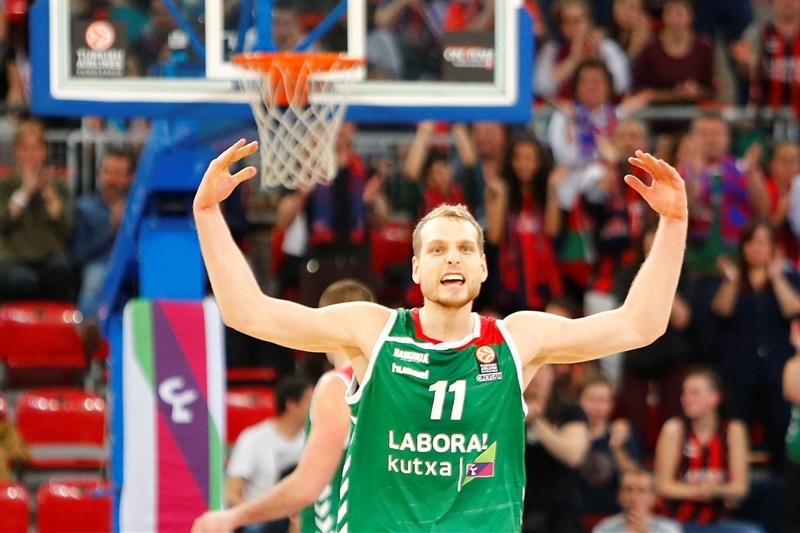 Laboral Kutxa Laboral Vitoria set the tone in its playoffs series against Panathinaikos Athens with an 84-68 victory on Wednesday at Fernando Buesa Arena. The visitors led early, but Ioannis Bourousis came off the bench to help Laboral to a slim lead after 10 minutes. That difference grew to double figures in the second quarter before Darius Adams took charge with 12 third quarter points, including a wild three that bounced high off the rim before falling in to cap a 10-0 run as the difference grew to 20. 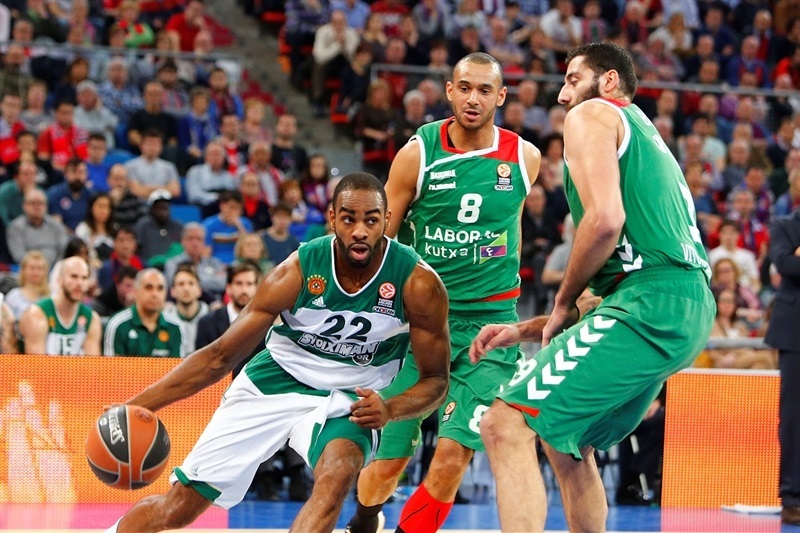 Panathinaikos fought back in the fourth quarter, but never threatened the outcome. 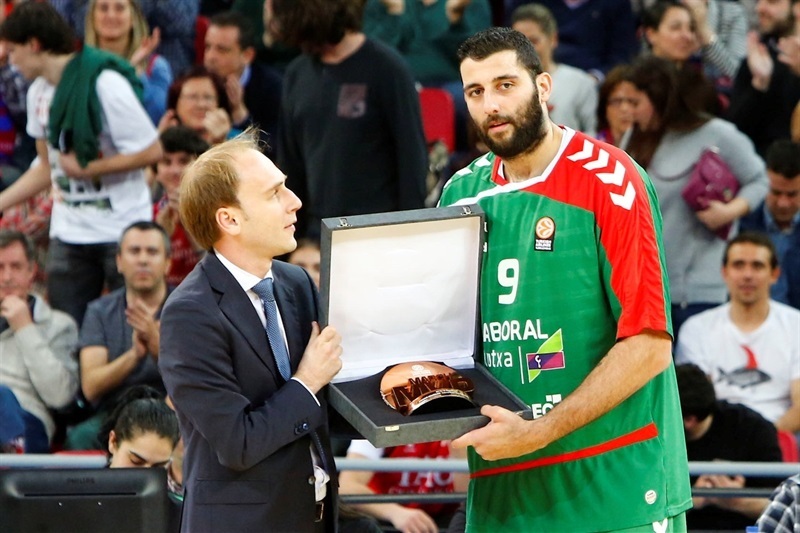 Adams finished with 20 points and Bourousis scored 15 for the winners. Mike James added 11 points and 6 assists, Adam Hanga netted 10 and Kim Tillie collected 11 rebounds. 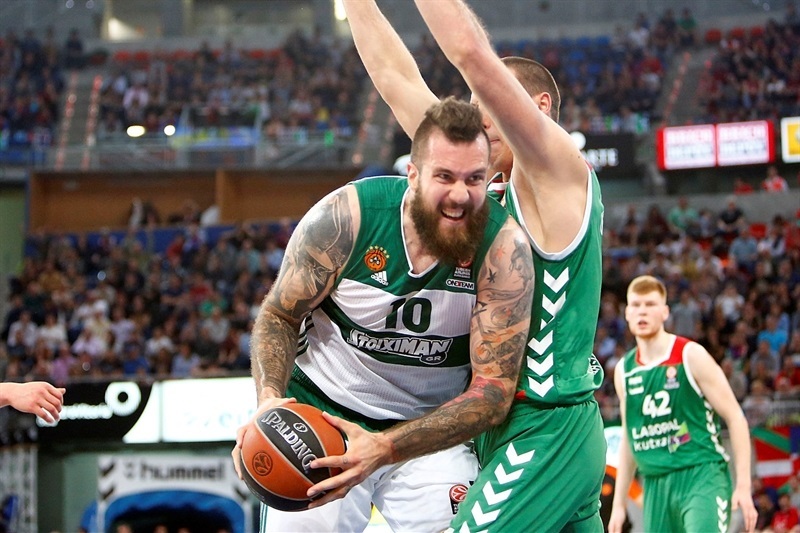 Miroslav Raduljica led Panathinaikos with 21 points, but scored just twice in the second half after dominating early. 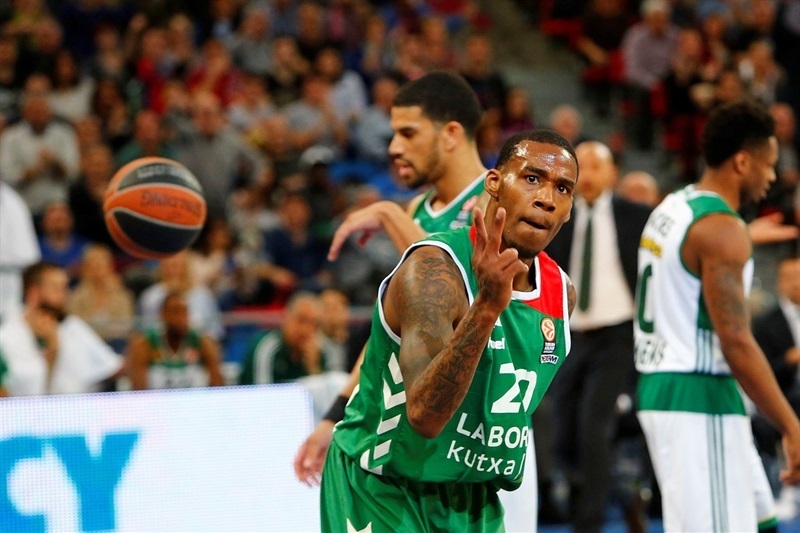 MarQuez Haynes added 11 points and Nick Calathes dished 11 assists in defeat. Elliot Williams got off to an ideal start by drawing a foul from Tillie on his first touch and draining a deep three on his second. Adams evened it with a triple before Raduljica overpowered Ilimane Diop inside. After the Panathinaikos center split free throws, Hanga used his speed to blow by defenders and get a layup. Raduljica added more free throws and sent Diop to the bench with 2 fouls in less than three minutes. Adams kept the hosts close with a layup, but Raduljica sank a hook shot. However a Davis Bertans three tied it at 10-10 and a Tillie tip-in gave Laboral its first lead. James Gist’s turnaround jumper and Ognjen Kuzmic’s hook over Bourousis came on Calathes’s fourth assist. Hanga rejected Antonis Fotsis on the break as neither team found the basket for more than two minutes. 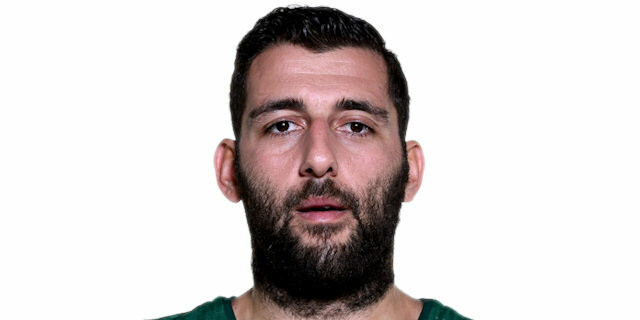 Bourusis ended the drought with a basket-plus-foul, but free throws by Raduljica put Panathinaikos ahead again. Bourousis’s triple with 13 seconds left in the quarter gave the hosts an 18-16 advantage. 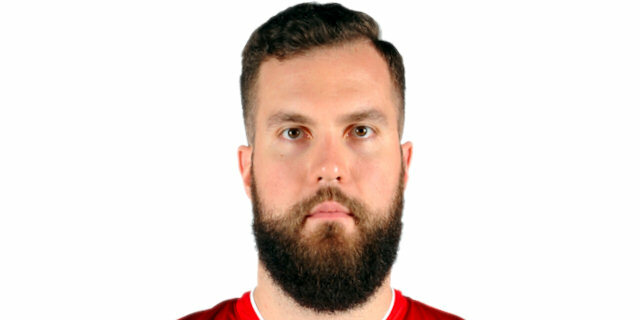 Raduljica extended his strong start with another hook shot. 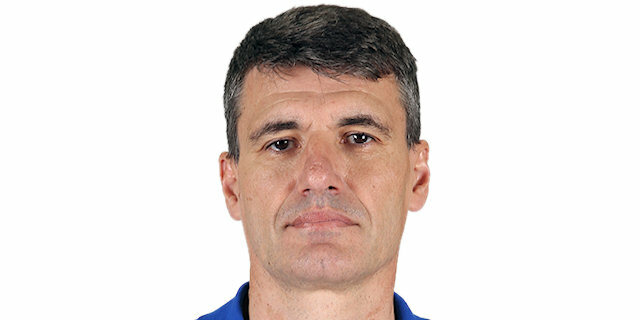 A three by Jaka Blazic gave Laboral the lead once more. 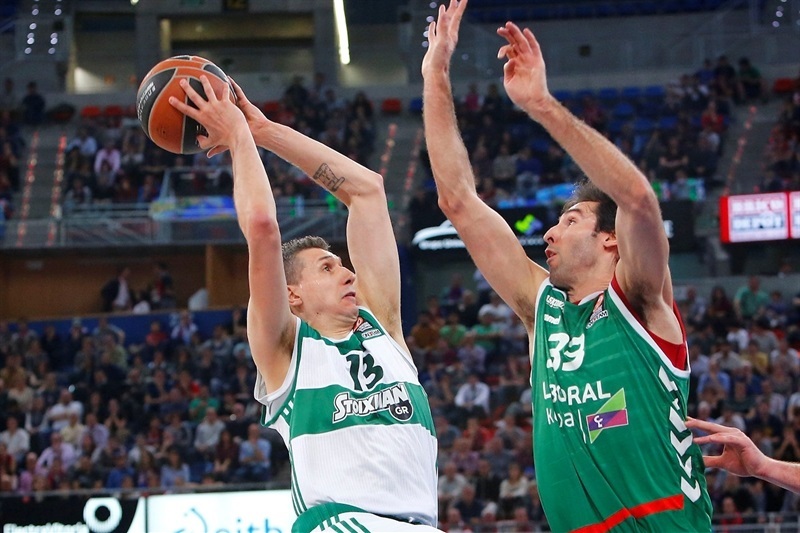 After the unstoppable Raduljica added a tip-in, Hanga nailed a triple for a 24-20 Laboral lead. James added a three with a hand in his face and Alberto Corbacho followed on the fast break to score after Sasha Pavlovic rejected Blazic. 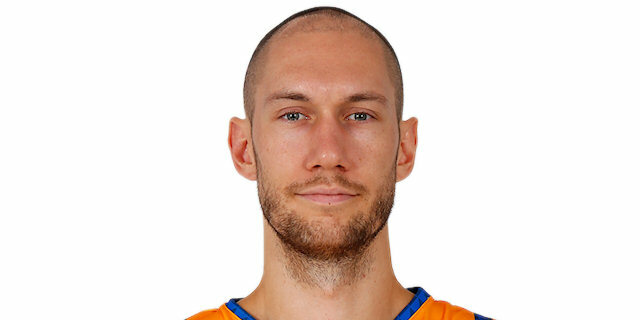 Down 9, the Greens turned to Raduljica, who scored with another hook. Darko Planinic came in for Bourousis and took a dish from James for a layup and a 31-22 advantage midway through the quarter. Blazic connected from downtown as the hosts took a double-digit lead. Raduljica attacked the glass for a put-back slam, but Planinic netted 3 free throws over two possessions as the lead grew. Vince Hunter came off the bench to make an impact at both ends with an offensive rebound and a blocked shot, but also missed twice from the line. Gist used a spin move to bring the Greens within 37-27 with a minute left in the half. Bourousis countered with a pretty move of his own. Gist split free throws to end the half with the visitors trailing 39-28. Panathinaikos got a great start to the second half with a basket from Calathes. The same player’s steal soon led to a Williams slam. However Hanga and Adams scored at the rim – and Adams added a bonus free throw – to make it 44-32. 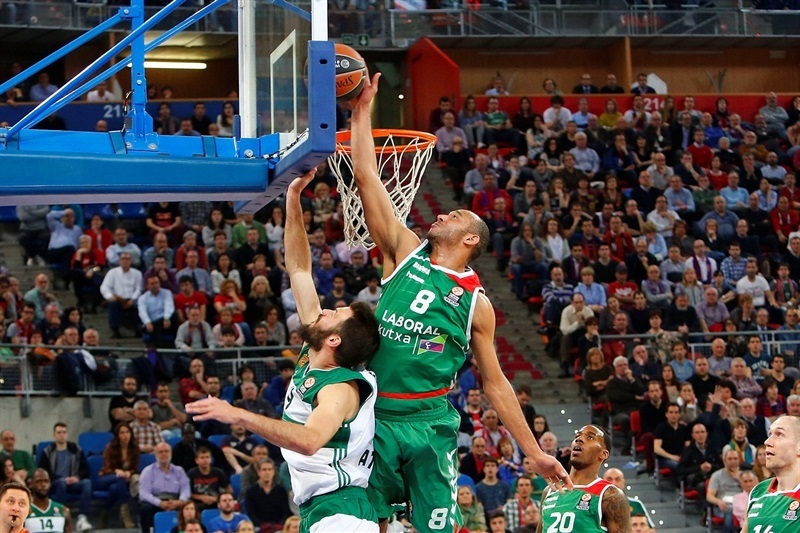 Calathes added a jumper, but Hanga’s triple further extended the difference. 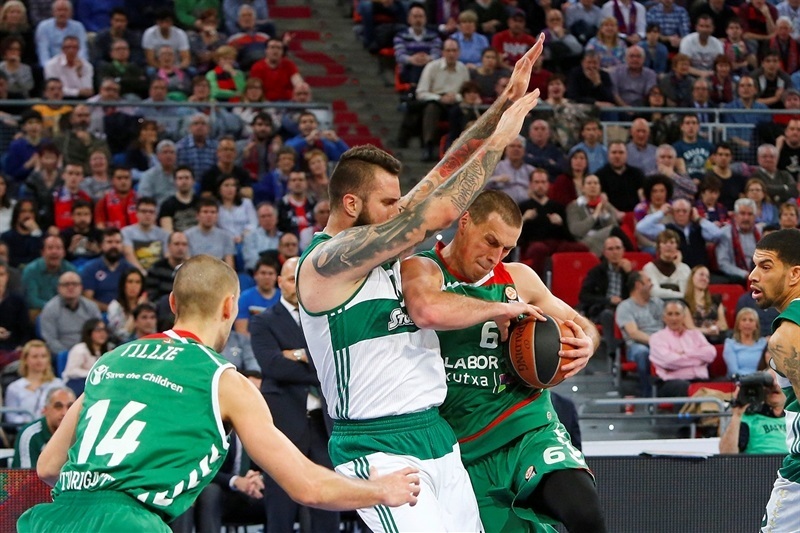 Laboral dominated the offensive glass with Planinic finishing a four-chance possession. Tillie’s tip in was followed by a wild Adams three that bounced high off the back rim before falling in to cap a 10-0 run for a 20-point advantage. 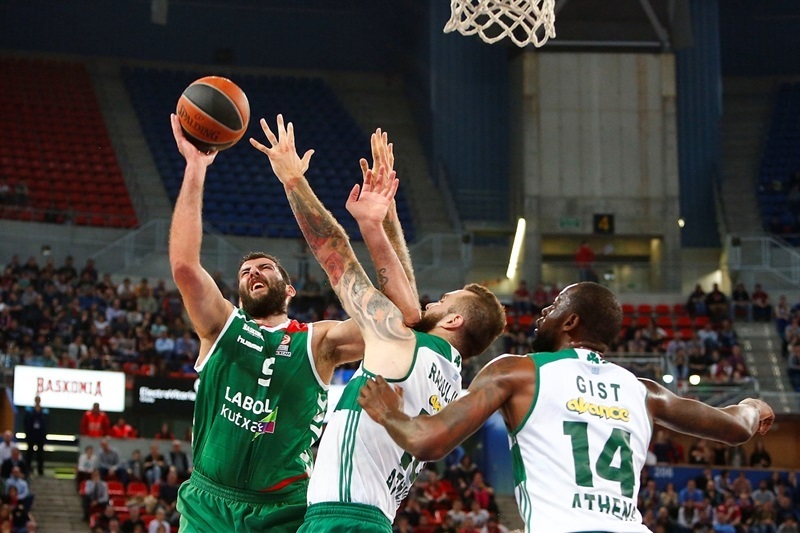 After a Panathinaikos timeout, Calathes fed Gist for an alley-oop, but Bourousis countered with free throws and Hanga rejected Gist as the hosts remained in total control. After a put-back by Kuzmic, Adams and Haynes traded threes. Adams scored again and tacked on a free throw after a technical on the Greens’ bench for a 62-42 lead. After Bourousis free throws, Haynes made his second triple and Hanga limped off the floor. Baskets by Pavlovic on the offensive glass and Williams at the buzzer made it 64-49. Adams stayed hot with his fourth three at the start of the fourth quarter and James threw down a ferocious two-handed slam to restore a 20-point difference. Raduljica finally scored his first basket of the second half with a fast break layup. 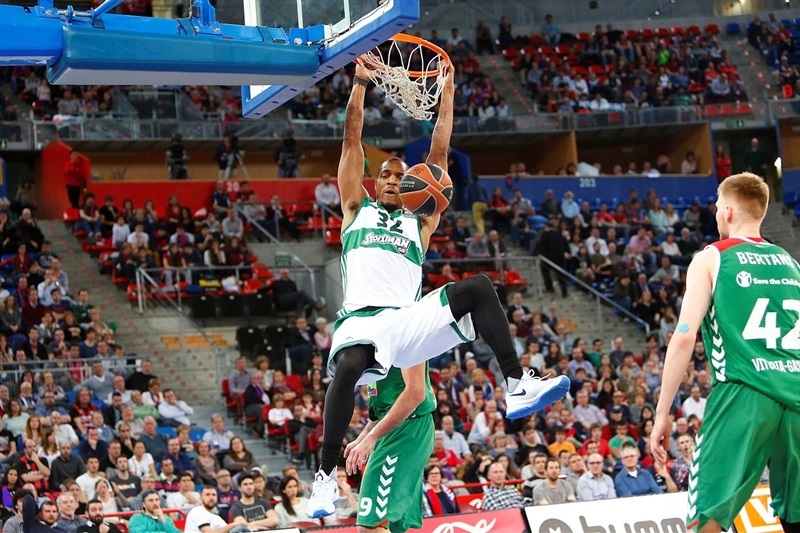 Tillie netted a triple and James rejected Calathes as Laboral remained in charge. 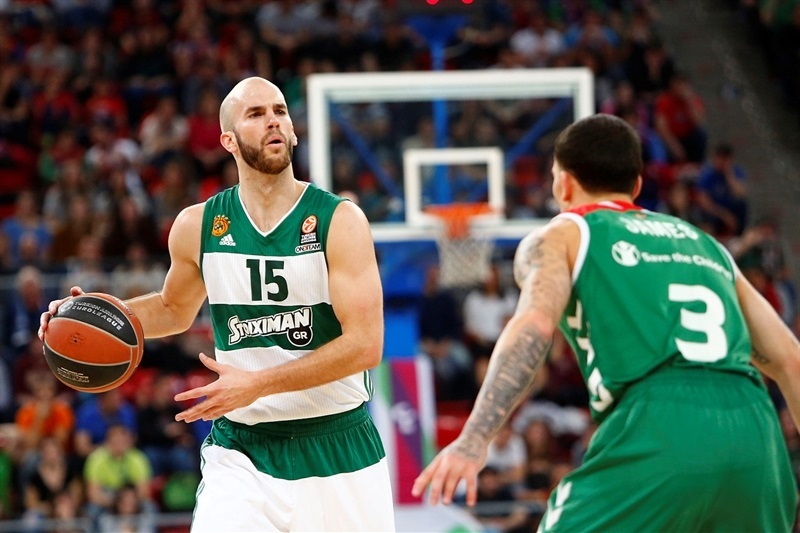 Calathes set up Raduljica for another basket inside, but the Greens did not appear to have the urgency needed to fight back from a 20-point deficit. Caalthes sent a behind-the-back assist to Hunter on the break. Calathes set up Hunter for another dunk and Haynes hit a baseline jumper to make it 73-60 and give the visitors some hope with five minutes to go. James responded with a big three. Haynes added another jumper, but time was not on the Greens’ side. A three-point play by Bourousis with 2:40 to go all but sealed the outcome at 79-62. Hunter finished another alley-oop and James Feldeine finished a tough layup, but the local fans were already celebrating the victory. "I think it was a game in which we put a lot of energy, but it's also true that they were not as accurate as they usually are. We won showing courage, especially in the second quarter when we got the lead and started believing we could win this game. We had a more or less comfortable end of the game, but I'm sure that it won't be that way on Friday. We played a good game, and they didn't. We played well in defense, we rebounded well, played intense and we managed to control the turnovers after a bad moment in the first quarter. Aggressiveness and intensity were key tonight, and helped us a lot." "We just didn't respond to their physical game, they are a team with many athletic abilities and even though we prepared for that and we tried to do things the right way, we were not capable of it. Every time we lowered the advantage, they came up with big threes. They scored 13 three pointers. It's huge in a game like this. Without a good shooting night you cannot play a game like this. We must play the next one with a knife between the teeth; I need to see fire in our eyes if we want to win this round because it's the only way to go to the Final Four. " "We made the 1-0 in the series and we must continue this way to get the next one. It was a good win tonight, but we need to get three games, so we must stay focused, avoid mistakes and play hard." "We started with a lot of energy and playing very hard in defense, which was a key factor in tonight's game. We managed to stop them on those things they wanted to do, and we rebounded pretty well too. We must come here on Friday with the same energy, the same will and be eager to play. We cannot think it's going to be easy, so we need to play serious as we did today. Now it's time to review the mistakes we made tonight so we don't make them again on Friday. " "It was a tough game for us and a tough night. We knew it was going to be that way, but we made so many mistakes and this cannot happen in games like this. This is the playoffs and there are more games ahead to recover. Of course we know that if we want to win the next one, we must play different."